Prepare to dump all of your iPhone accessories, Apple is planning on using a new dock connector format. After a long and lengthy rumor that the new iPhone 5 will use a new dock connector, Reuters recently confirmed that the new version of the iPhone, the iPhone 5, will use a 19-pin connector, which is rumored to be half the size of the classic connector, instead of the classic standard 30-pin connector Apple has used for many years. Recently, “two sources familiar with the matter” has told Reuters that Apple is making the connector port smaller to “make room for the earphone moving to the bottom”. 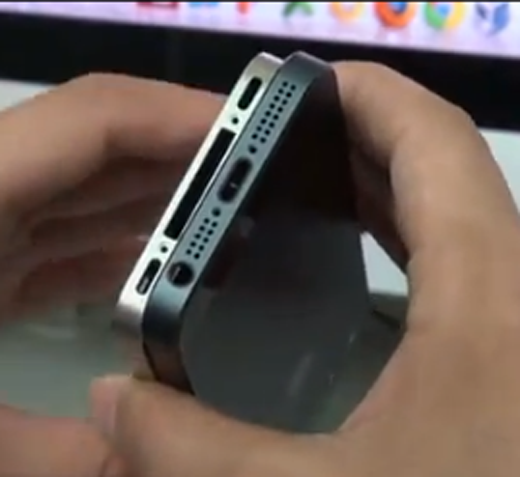 With the new dock connector port coming to the iPhone 5, all of the previous Apple accessories will be obsolete in the future. Although the change will piss off a lot of iPhone users with lots of mobile accessories, this will mean more opportunity and more profits for accessory manufacturers. Reuters said that iPhone accessory production has been declining and more production is more focused on Bluetooth speakers and accessories now. Although Apple is most likely changing the dock connector for the iPhone 5, Apple will most likely release a dock connector converter so that the new iPhone dock connector can be used with classic iPhone accessories. Also, as more and more accessories gets released with the new dock connector, there will likely be accessories users can purchase to convert from the classic dock connector to the 19 pin dock connector. Though, if you are going to keep your current iPhone or iPod Touch, this means that iPhone accessories will be greatly marked down in stores to get in the new iPhone accessories.